Prepared Motors. 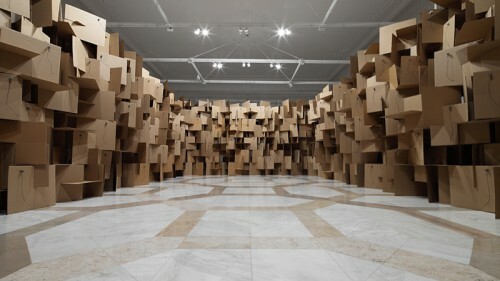 Included in recent news from BLDGBLOG, Swiss artist Zimoun installs a series of sound sculptures. Each cardboard piece, comprised of micro-mechanisms, projects subtle sound upon interaction. Watch the following video for the installation plus movement. Renovation Take-over. The New York Times reveals that the Randhurst Mall, just outside Chicago in Mt. Prospect, plans to undergo serious renovation. The indoor mid-century shopping center will take on a new look with a $190 million renovation. Expect commercial transformation as the mall goes outdoors, for which it will destroy most original elements in favor of an open air shopping experience. Highline 2.0. If you haven’t heard, the second phase of everyone’s favorite park, the Highline, opened this week, stretching from 20th to 30th streets through New York’s Chelsea neighborhood. 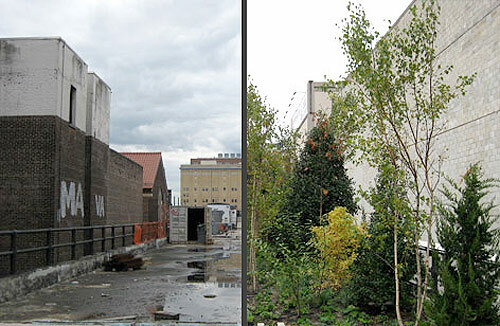 The NYC Economic Development Corporation snuck onto the elevated railway before the official opening and has put together a fascinating before-and-after display. The Design Sector. Archinect features a report from the Center for an Urban Future that specifies the capacity of New York City’s architecture and design sector and encourages its continued growth. The report reviews the “untapped potential” despite a remarkable 40,470 designers currently based in the Metropolitan area.